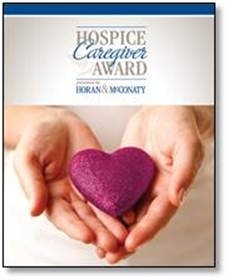 Kathy Nelson is the winner of the Hospice Caregiver Award presented by Horan & McConaty. She was nominated by Sally Carey. 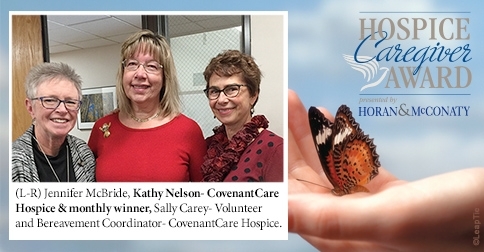 I’m honored to nominate Kathy Nelson for the Hospice Caregiver Award. I’ve had the pleasure of working with Kathy for the past 4+ years. In that time, Kathy has revealed an impressive depth of knowledge of caring for elders, especially those under hospice care. She has supported not only individual patients and family members with their unique needs and concerns, but also is attuned to the needs of staff members, whether they be team members, volunteers or staff in care facilities. 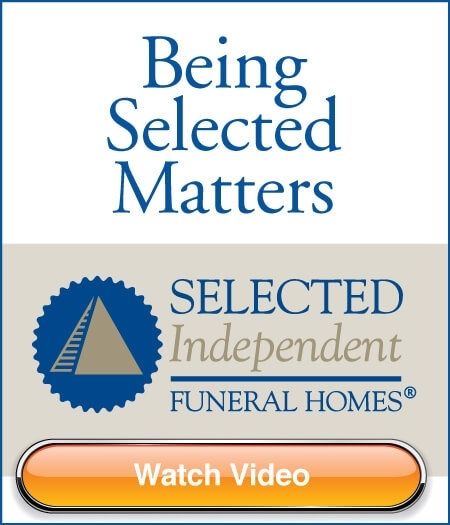 Kathy’s extensive hospice experience began at St. John’s Hospice in 1999 where she began many close collegial relationships that continue to this day. In 2009, she moved into a team management position at The Denver Hospice, where her people skills where honed to include supervision, active management & support along with meeting organizational needs & goals. As TDH looked to restructuring their management model, Kathy found an opportunity to serve closer to home both physically & spiritually. In 2013 she joined Hospice of CovenantCare, another non-profit and a faith-based hospice where she continues to serve. As I have worked with her, and in the past 15 months shared an office with her, I have come to witness the quality of relationships she has forged which speaks to her ability to connect with and care for so many. She keep in touch. She reaches out. She advocates for patients, staff members and facility staff. Her natural and seemingly boundless empathy inspires those around her to look beyond the obvious to understand the feelings and motivations of those who may be harder to know or accept. Her capacity to be mindful of the struggles of others humbles and encourages me to suspend judgment and offer grace. Kathy has shown herself to be a natural and understated leader, gracefully adapting to the changing needs of the staff and organization she works within. She attends to the details of facilitating teamwork, including tech support, and fosters developing leadership. She takes on special projects and conducts home health social work visits as the organization needs. Kathy is the Swiss-army-knife for our team, gracious and self-effacing, always working for the good of all. Each monthly Caregiver Award winner will receive a gift card that can be used for whatever the recipient decides and an award. 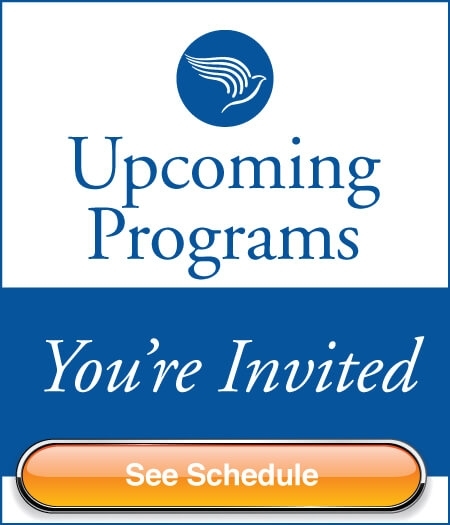 At the end of twelve months the review committee will select the Caregiver of the Year to be revealed at a banquet honoring the twelve finalists. 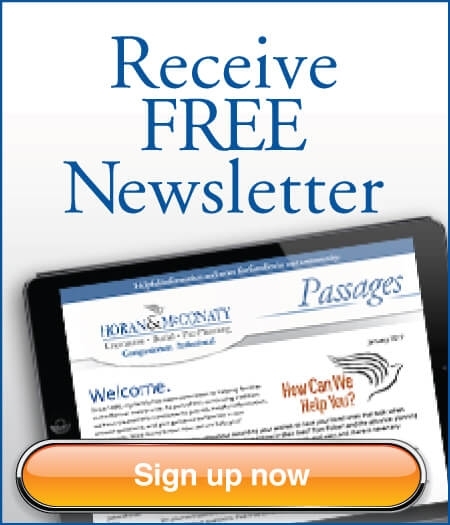 The Caregiver of the Year will win a trip for two within Colorado.